If you're willing to open up that /a/ counter as Frode and Dan are suggesting, I think you could also make its hood droop down a little less, which would help preserve the openness of aperture that connects to the /e/. But this is a display face after all, so if that /a/ is exactly as you want it, maybe the latest /g/ is too generic. I am indeed not too fond of the idea of toning down the /a, which has been the seminal letter for this typeface (as so often). I suppose I could make a vanilla /a for the Garamondesque SS02, though. If I end up making a more eclectic /g, I could also put the current /g into SS02 to match it. To be honest, though, I don't feel the current /a and /g clash with each other. 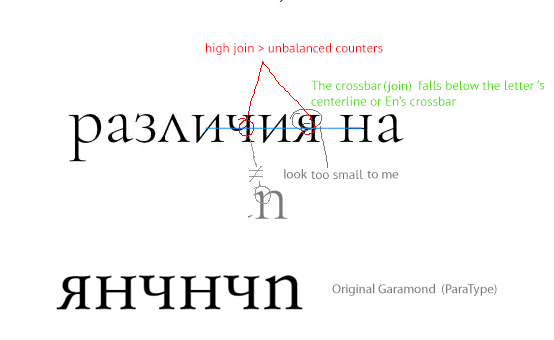 Sure, they have different proportions of interior and exterior spaces, but so do /e and /g in the Garamonds I've compared above, and so do /a and /o in any (two-storey) typeface I've ever seen. I'm getting a pretty harmonic impression from the typeface as it currently is. Of course, I'm willing to see whether this changes if I sleep over it a few times, and I can continue to experiment with tiny-eyed /g's. Maybe I can offer one as a dedicated SS even if I don't like it enough to be the default /g. It is a display face alright, but it's no FF Oneleigh. I'm not going for a distorted, eclectic, or freaky look. I'm allowing the /a and /e to be extreme because I think I can get away with them and still look classy; so far I haven't succeeded at doing that with /g. Whenever I make one space tiny, another one opens up irresponsibly, whether it's the descender loop or the neck room in the middle. 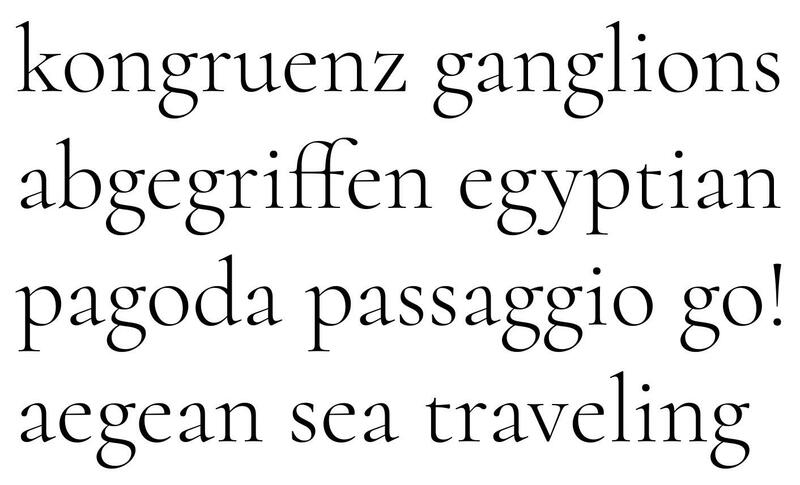 I'm curious—do you have a concrete suggestion on how a /g could be built to have a tiny counter and still fit the rhythm and style of a Garamond? Meanwhile, here's the new /a.ss02. That new /a.ss02 could be a touch wider I think. Any ideas on making tiny-eyed /g work? Your post on 10/8 that starts "Actually, looking at it again..." had a promising, smaller-eyed /g/ IMO. I wonder if making the loop an open counter would afford you some flexibility to get the proportions working. Just a thought. Yeah, I liked that one, too. It combines the functionality of the horizontal foot with some of the intended elegance of the original designs. I'll consider basing the default /g off of that, and keeping the Garamondy one for SS02. Let's see where it's going. I'm also wondering whether it might be worthwhile to export SS02 as a pre-composed font. I already have too many fonts as-is, though... then again, maybe I should offer a basic pack with, like, 15 fonts (Roman, Italic, SC), and an expert pack with all of them. As for an open-tailed design, I just tried out this here, and I like it more than I should. Though I can't imagine it as part of the default style. Maybe I can combine it with the connection-less /Q design and expand it into a style with several other «opened» glyphs...? U+9D41(鵁, simpl. 䴔 U+4D14) is used in the ancient name of Ardeola bacchus, a kind of bird. 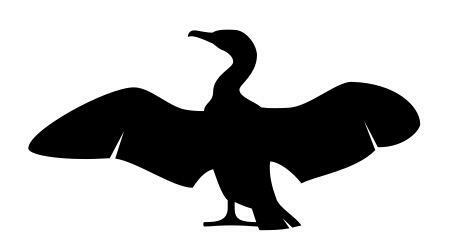 Given that the glyph's name is «The Fishing Cormorant», I figured it used to refer to either the practice of cormorant fishing, or to one of the species used for this purpose. Judging from Wikipedia, neither of these terms use the glyph 鵁... In any case, cormorant fishing looks pretty painful for the birds involved, so maybe it's better if I don't advertise it. In any case, I have been dissuaded from using the unicode point of 鵁 for a glyph that is not actually a legible 鵁. I have now made the cormorant icon a stylistic alternate of the floral heart, ❦, whose purpose is presumably just to be black and pretty, so that should work just fine. The cormorant is also the default shape for the floral heart in the Cormorant Infant series. 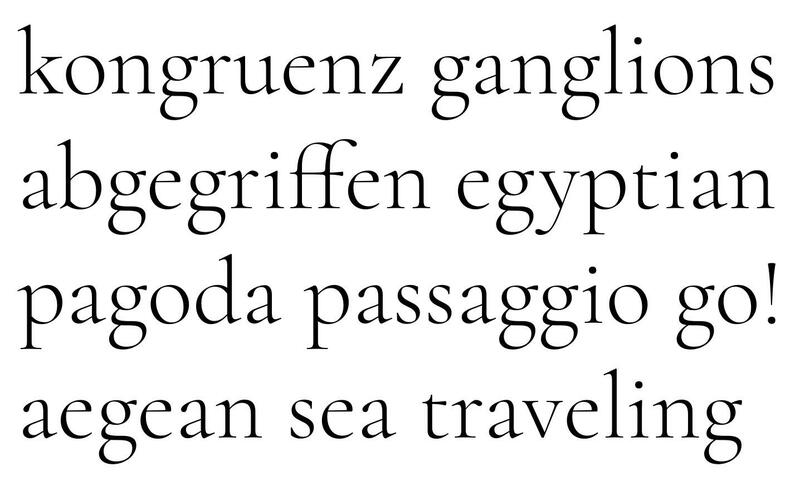 By the way, I'm thinking of adding a «Cormorant Garamond» series of spin-off fonts that has SS02 activated by default. It would bloat my font package from 35 to 45 fonts, but I guess I could offer an «essentials» distribution with only the default cuts for people who don't need all those options. EDIT: Yep, Cormorant Garamond is now available as part of release v0.8. Alright, I've just released the first official full version of Cormorant! Thanks for all the help and feedback! This is not to say that I wouldn't welcome more help and feedback from now on. I certainly intend to keep honing Cormorant in the future! I got some more feedback from Orthoxerox on the Cyrillic via the issues tracker on GitHub. In response, I've now made a number of alternates that are available in SS02 and in the «Garamond» cuts. They use triangular bodies for /Д/Л and a serifless apex design for /И. 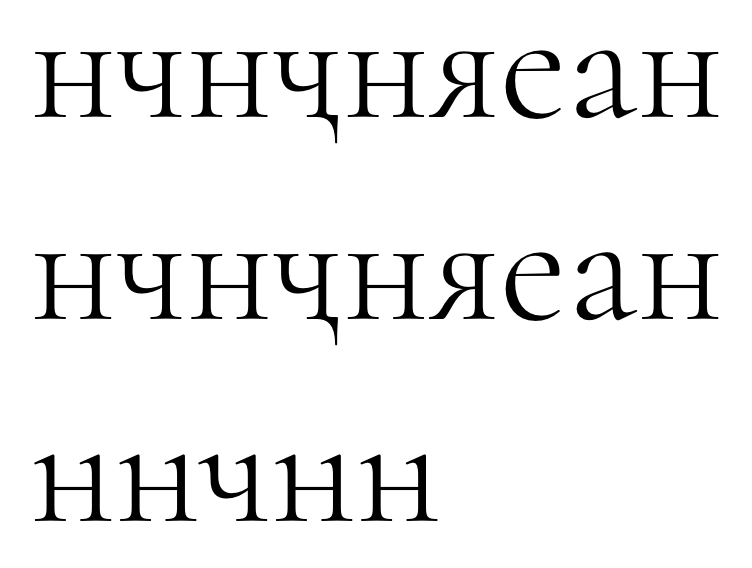 This should make the whole Cyrillic set look more Garamond-esque. 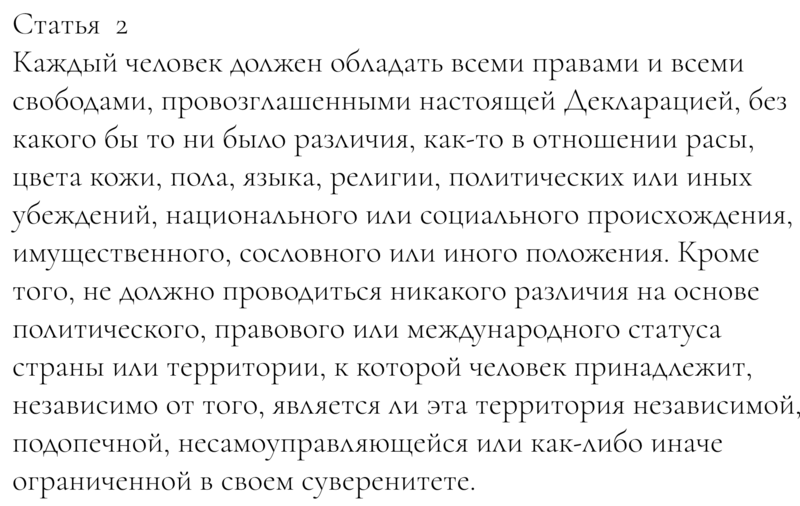 I also changed the Cyrillic breves to have vertical stress and to distringuish case. By the way, it looks like Google Fonts is finally ready to ingest the Cormorant family. I have until the coming Friday to roll out a final issue. Last chance for bug reports and requests! I saw you added anchors to some letters, why don't you add them to other Latin ones? Hm, I suppose I could Cmd-U the whole font to add the missing anchors, if that's useful. Wow.. very nice process, btw, I really like the idea of tiny counters, even this are untraditional details on garamond face, may be some people don't see this project as display and judge it as traditional 'reading' at book sizes typeface, many times some issues with a specific glyphs (e.g your controvertial 'g' which I really like the early innovative version) can solved with specific 'calt' arrangements. I also agree with the idea to offer a "traditional version" and "your own version" as separate options. Sometimes, design solution could be viewed from a more global perspective or an openmind mood.. some troubles and solutions are not always in just one glyph but in the group. Trying to wrap my head around Bulgarian /ve. Is the bottom version better? It certainly looks more «Roman» to me. 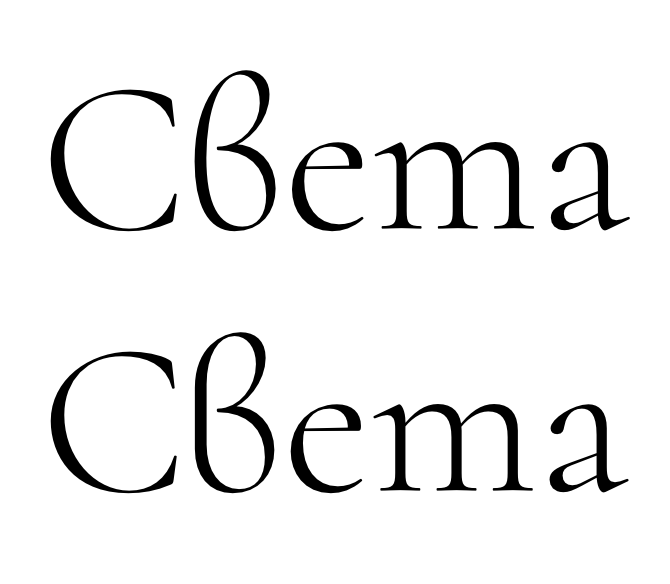 I'm keeping the Italic version round. I'm not Bulgarian expert, I aesthetically prefer the first 've', but native Bulgarian people have more authority on this matter than anyone else. The straight back merging into two curves looked weird. I made a version with a continuously curved back that looks straighter than the previous one. This no longer feels that much out of place among the Roman letters. 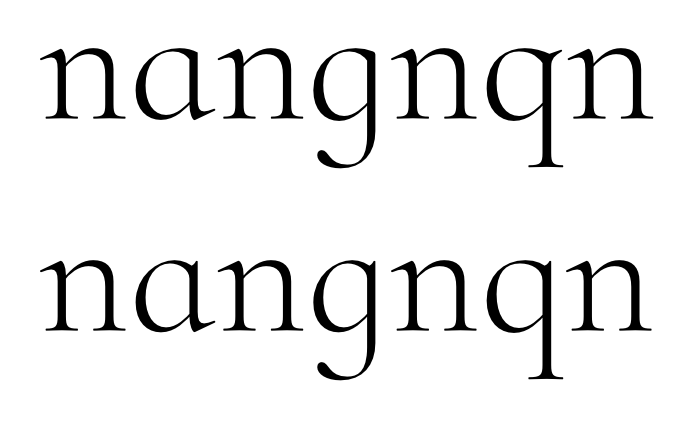 Even more overhauling of the teardrop characters. I've made /q different from /a/g again (but analogous to /b) and made both /b/q smoother. Only /p still has a broken joint, since the stem continues in both directions. Fixed another thing that's been bothering me for a while: those ungainly serifed heads of the lining figures. I'm tempted to keep the serifs on the oldstyle figures, though... whaddya think? Think I like the serifed version better in both instances. Is this new /em working for the Garamond cut? I'd probably expect LFs to be more "serify" than OSFs, actually, rather than the other way around.